I finally clipped the chains after freeing all 110 immaculate feet of “Black Beards Tears” yesterday at the Promontory, placing all 15 cams and one stopper on lead! This is definitely one of, if not the coolest and most unique FAs I’ve ever done in my life! I’d fantasized about how this fabled crack climb might look and feel for weeks before I saw it at the start of the month. When I first laid eyes on it, my jaw hit the floor. Once I started giving it legit red point burns I pushed my high point higher every day (including one fall from the very last move on Saturday) so I thought I might get off easy without entering the realm of pre-send stress, the realm of manifesting worst case scenarios. But of course as happens with the most meaningful projects, progress wasn’t linear and I had a heady couple days of “regression” before realizing how dialed I had it and taking advantage of a one hour window of the right kind of wind yesterday. The important ones always get heady, break you down and force you to check at least some of your ego at the bottom. That’s what I love and hate about hard projects: they force you to surrender. I have soooooo many people to thank for hours of belaying, catching big whips, generally showing up and supporting both virtually and in person. You know who you are. Thank you so much! HUGE thanks to @jimthornburg for his dedication to supporting and documenting this project until the bittersweet end. Now I can finally leave the black hole/golden triangle of Humboldt and Del Norte counties for a while, reintegrate back into civilization and probably hear the words Trump and Clinton a lot more. See you later Promontory. Thanks for everything. It’s been real. Oh and since everyone wants to quantify climbs with numbers, I’m thinking 14c. Come try it. It’s good. 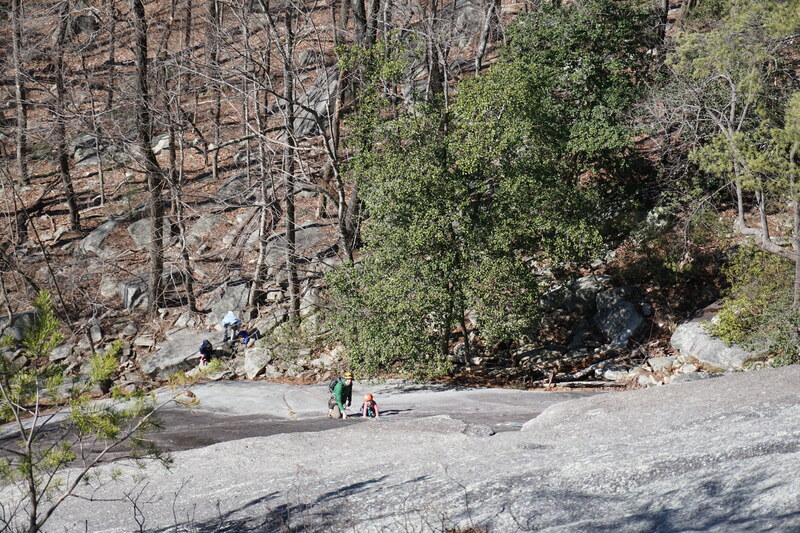 It was an epic day for our family at Stone Mountain last weekend. Well, for three of us anyway. We left Baby Zu with the grands, and whisked Big C off to Stone Mountain for his very first day of multipitch climbing. Up until this point the highest Big C had ever been off the ground was probably somewhere in the neighborhood of 50 feet. 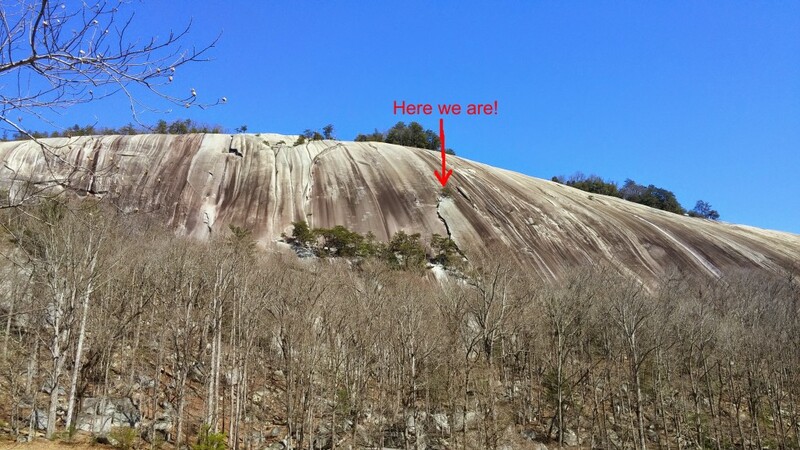 But on a previous trip to Stone Mountain a few weeks ago, he had astonished all of us at how well he had scrambled up the friction slab, and the CragDaddy and I left wishing we could have taken him higher. 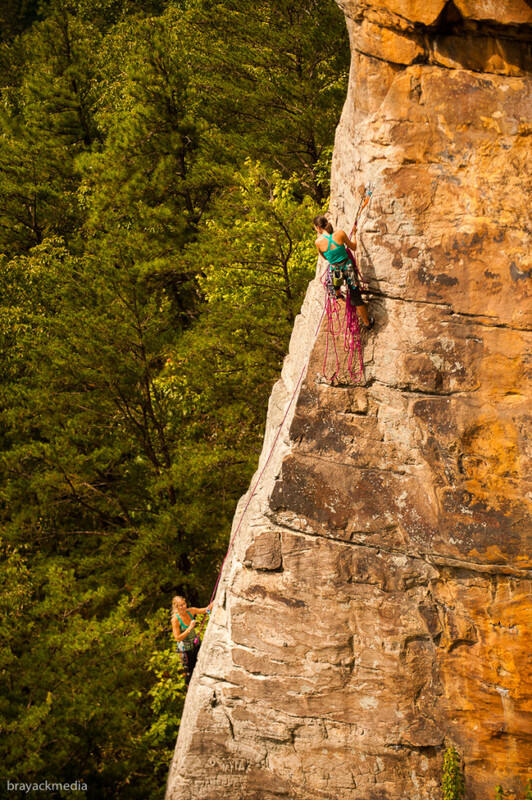 Note for the non-climbers: A “pitch” is a singular stretch of climbing, from one belay spot to the next. 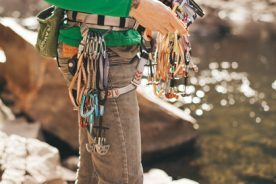 “Single pitch” routes start on the ground and finish at a set of natural or man-made anchors (which may or may not be at the top of the cliff.) 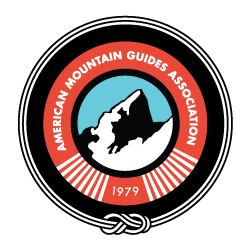 A “multi-pitch” route usually starts from the ground, but upon reaching the anchors, continues up another section of cliff to the next belay station (often atop a natural ledge or other feature), then another section of climbing, and so on and so forth. 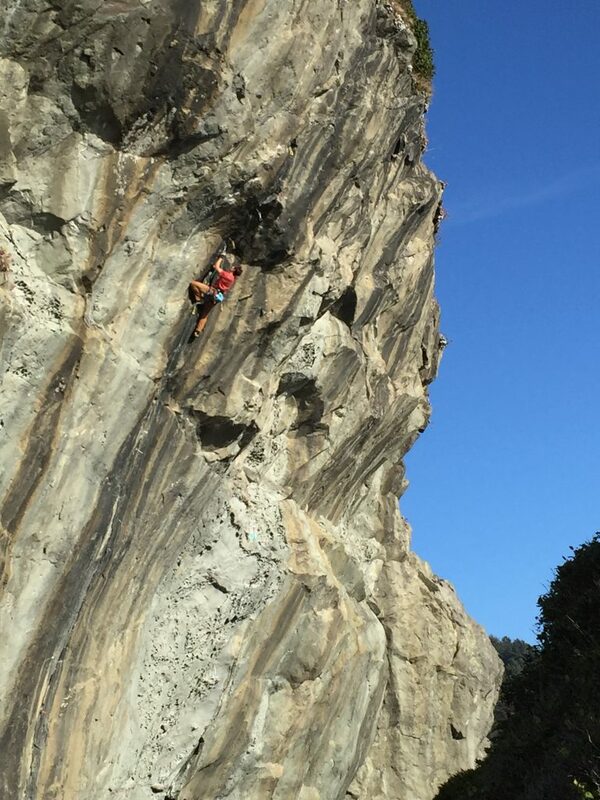 Therefore, a route that is 5 pitches long would be climbed in 5 distinct sections, with all climbers in a party finishing one section before continuing on to the next. 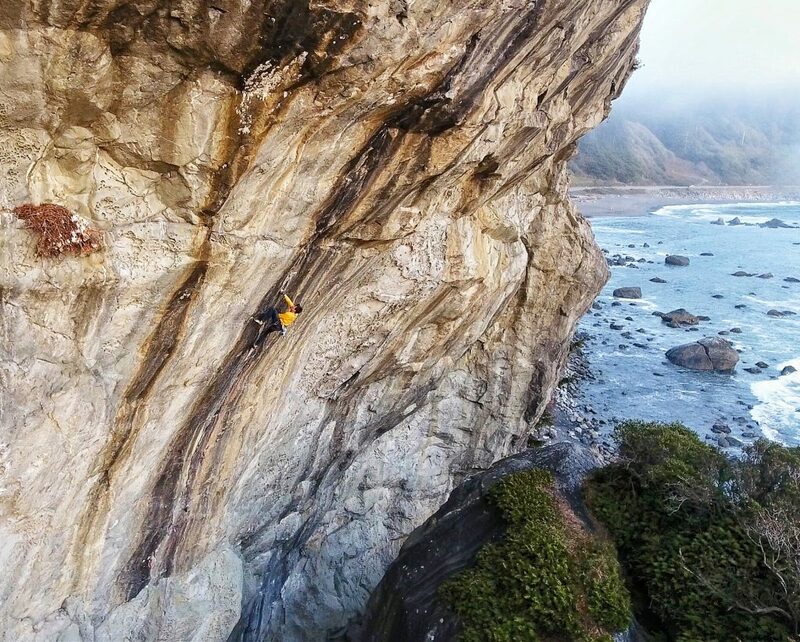 Obviously a multipitch scenario where everyone is off the ground at once can’t work when you’ve got a crazy toddler running around at the base of the cliff! But with Baby Zu spending the day with grandparents, we had Big C all to ourselves, ready to make a summit run together. We talked through the logistics at length on the way there, including plans for a summit, as well as back up plans in case we had to bail. Block Route (5.8) seemed like the best and easiest option to get Big C to the Tree Ledge, a giant ledge about 160 feet off the deck. 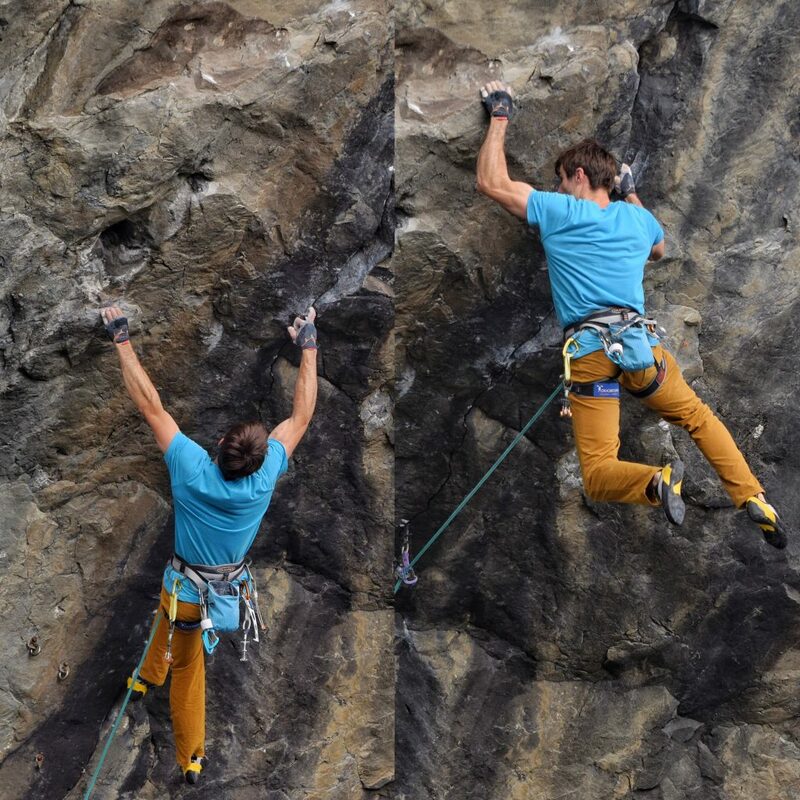 He had already climbed the first 50 feet to the intermediate anchors without any issues, and there was really only one move that we anticipated he’d have a problem with. (The namesake “block move” involves flopping one’s self up and over a 5 ft overlap feature, and we didn’t think he’d be able to reach up over the block to pull himself up. 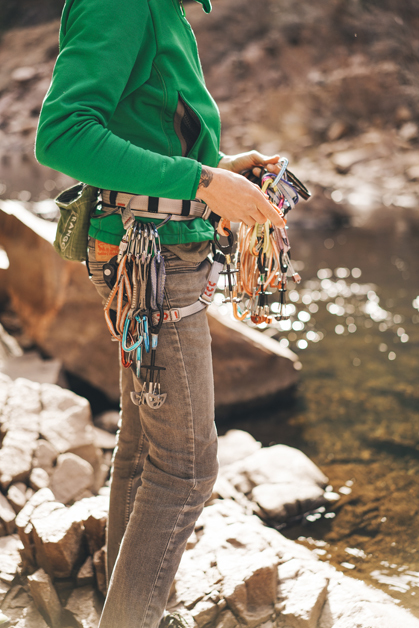 Our plan was for me to lead that pitch on two ropes, clipping both into each piece of gear. Then I could belay CragDaddy and Big C at the same time as they simul-climbed. When they got to the block, CragDaddy would just hoist him up and over. Our plan for the first pitch worked out perfectly. So far, so good. 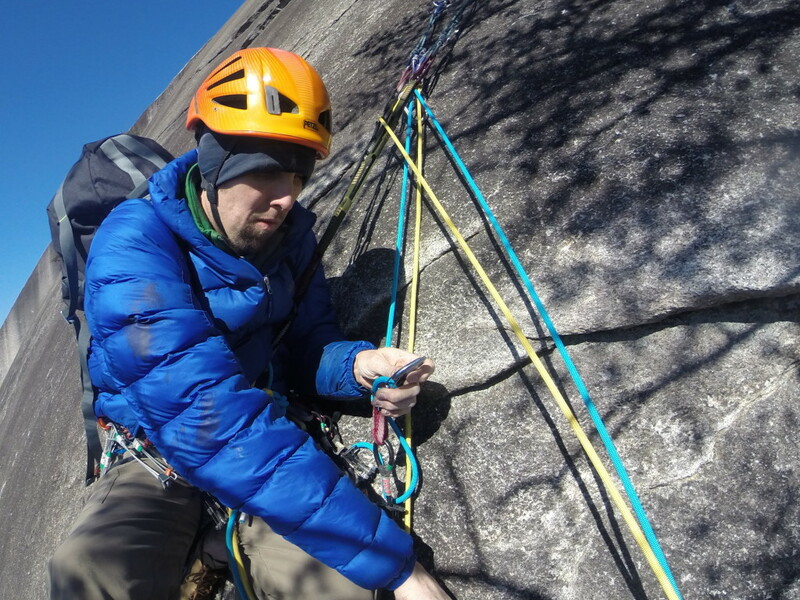 We took a break on the Tree Ledge to grab some food and reorganize the gear, as the CragDaddy was going to take the lead on our next pitch (No Alternative 5.4.) At this point we noticed that the wind was starting to really pick up now that we were higher off the ground. While I belayed the CragDaddy, Big C huddled in his down vest, asking if it was his turn to climb approximately every 24 seconds. CragDaddy manning the upper belay station. As a parent, it was really hard to know how to handle it. 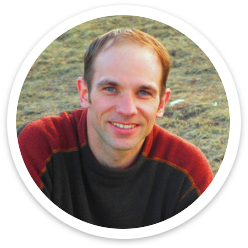 It was so sad to see my little boy so frightened, especially by a situation that I HAD PUT HIM IN (even though he had shown us every sign that he was ready, and up until the sudden freak out there had been no red flags.) And if I’m being completely honest, I was also worried about judgment from other climbers. It was a beautiful winter climbing day, and there were a lot of people on the mountain, and I was pretty sure most of them were probably at least a little unnerved about hearing a small child screaming 250 feet off the deck. 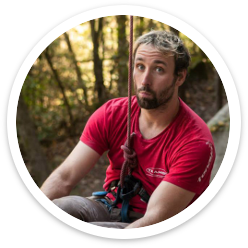 While on the Tree Ledge, Big C had gotten lots of positive reactions from other climbers passing through…the part of me that cares too much about what other people think of me wondered if those same people were now ready to call CPS. But the majority of my efforts, of course, went towards comforting and encouraging my inconsolable son. 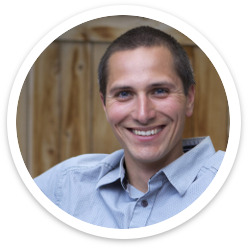 Each time had had a “moment,” I held him close, we prayed, and I spoke calmly until he gained enough control to let me be his voice of reason. Over and over we discussed our choices – going up or going down. And over and over, Big C chose to press on. After another million minutes (this time according to ME), we finally reached the CragDaddy at the next belay station. By this time the wind was REALLY starting to whip up. We had about 300 feet under us, with another 200 or so of significantly easier climbing ahead of us. We had a family meeting atop the No Alternative flake, and came to a consensus that the best decision was to bail, and leave the summit for another day. Originally we had all brought our hiking shoes, intending to leisurely walk off the other side of the mountain once we reached the top. But bailing before the summit was a lot more complicated, and I was glad that we had talked through the possibility beforehand. 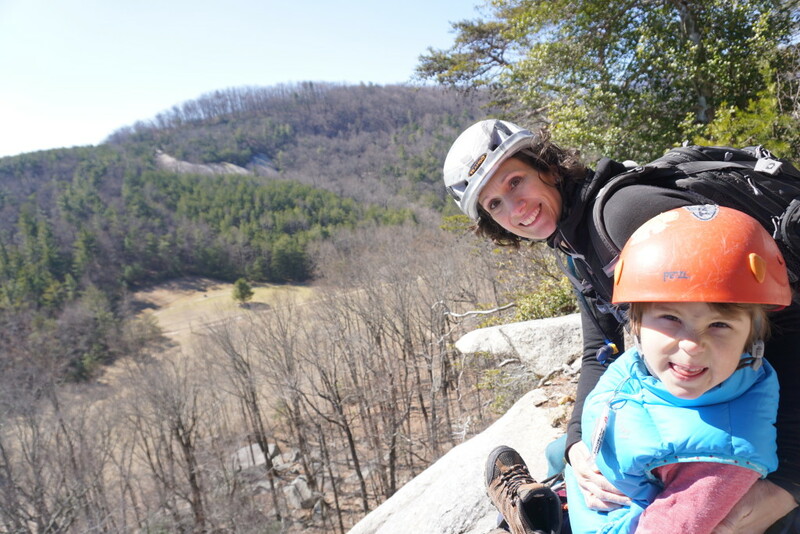 It ended up being a lot easier than we’d anticipated – I rapped down first, then CragDaddy and Big C rapped together on an extended rappel using their personal anchors. Everyone was relieved when we set foot on solid ground. I was afraid Big C would still be upset, but as we sorted through the gear he quickly went into full crag mode climbing trees and jumping from boulder to boulder. 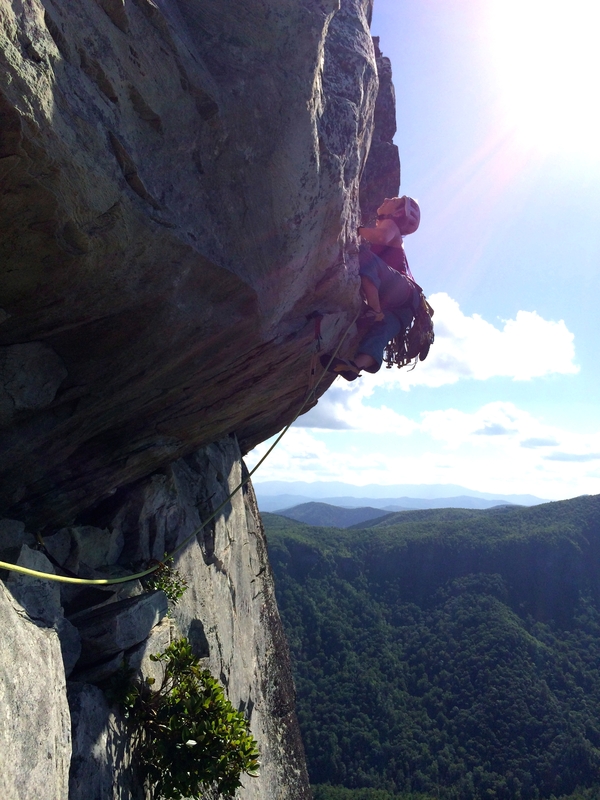 CragDaddy and I decided to take a lap up Father Knows Best 5.9+, to give him a chance to decompress a bit. So while things didn’t go exactly according to our plans, all’s well that ends well. He may not have made it to the top, but I’m so proud of my little boy for making it as far as he did and for pushing through his fears. When we got back down to the meadow at the base, his mind was absolutely blown when we pointed out our high point on the cliff. I have since overheard him telling at least 3 friends about how he “climbed way higher than even the trees,” with an emphasis of “for real!!!! !” A fellow climber on a neighboring route contacted us with a picture a friend of his had gotten from the base, and Big C has even requested a copy of it to keep in his room. And same that fellow climber was also good for my own psyche as well – previously I didn’t know him, but the following day I saw that he posted some very encouraging remarks about seeing our family up there on a Stone Mountain facebook group. Can you zoom in and find us? 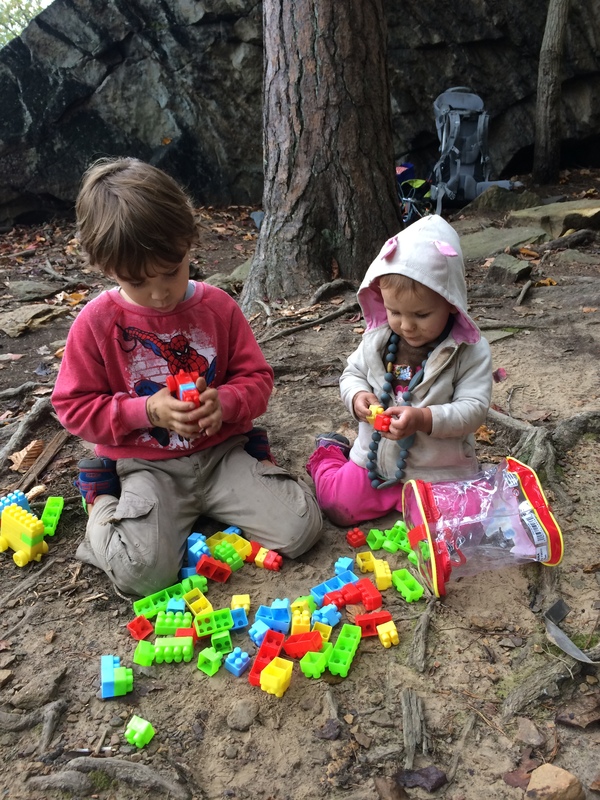 So moral of the story – type 2 fun with kids is stressful!!! But, I like to think worth it. It might be a while before we try it again, simply because there were so many logistics involved to make it work. 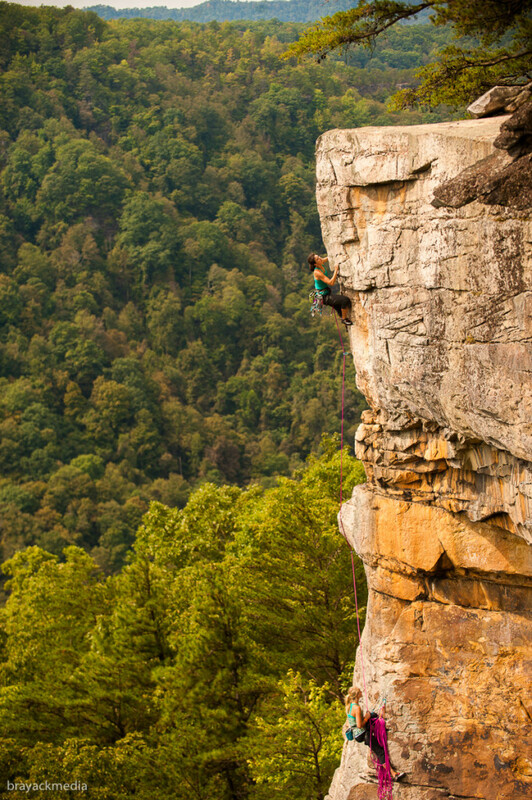 But in the meantime, it’s almost time for spring climbing season…and CragDaddy and I have an anniversary date to celebrate at Rumbling Bald this weekend! 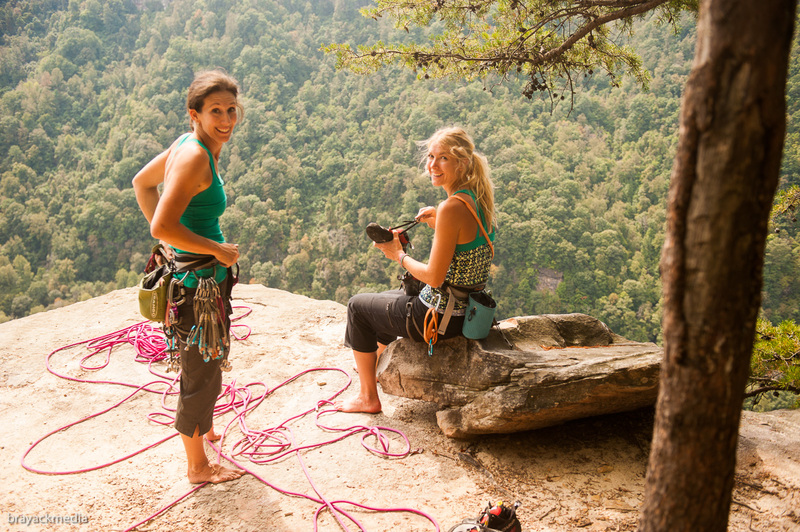 Last weekend was the first official weekend of fall, and for climbers in the Southeast, that means it’s time for the Craggin’ Classic at the New River Gorge! 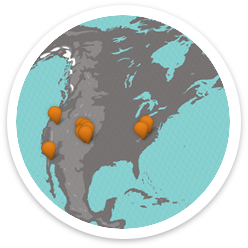 This NRG event is actually just one of a series of climbing festivals held across the country each fall. 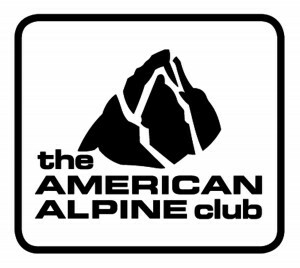 The Craggin’ Classic Series (organized by the American Alpine Club), is a chance for climbers from all over to get together and play around on world class rock, all in the name of community, education, stewardship, and fundraising. This was my 2nd time working this event for Trango/Tenaya (first time was back in 2012), and my first weekend long event since the 2013 Rendezvous back in the pre-Baby Z days. Event weekends for me are always a chaotic blur of pure craziness. As a climber, working these events is always a blast. 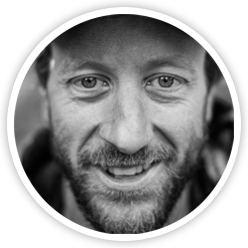 I mean, my job is to go to a great climbing destination, hang out and talk gear with all sorts of awesome folks, and usually walk away with some amazing photos of me doing what I love (courtesy of Dan Brayack) – seriously, what’s not to love about all of that?!? 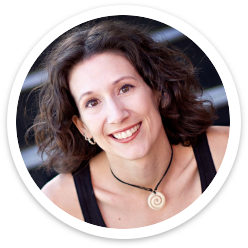 But as a mom, these events also bring a whole lot of behind-the-scenes stress, usually surrounding mundane, but important, family logistics. Fortunately Steve and I have learned a lot from past events and are able to sort through most issues before they arise. We’d secured extra climbing partners so that Steve and the kids could do their own thing while I was off galavanting around with Trango, and managed to find a crag that was suitable both for Trango’s photo goals as well as Steve and his “village” – which meant I could hike back and forth to check in with Baby Z a couple times during the day to nurse. A friend of mine even let me borrow his car for the day (which could actually end up being it’s own separate post entitled, “Dirt Road Adventures with a Stick Shift and No Power Steering,” but I’ll leave that for another day.) Somehow, though, despite our best-laid plans, it seems like there’s always an unforeseen glitch that sends everything into a tailspin. This time around it involved the poorly-timed eruption of 2 canine teeth and a mysterious fever, both of which turned Baby Z into a clingy hot mess that wanted to be attached to mommy 24/7. Brenna working her way up P1. 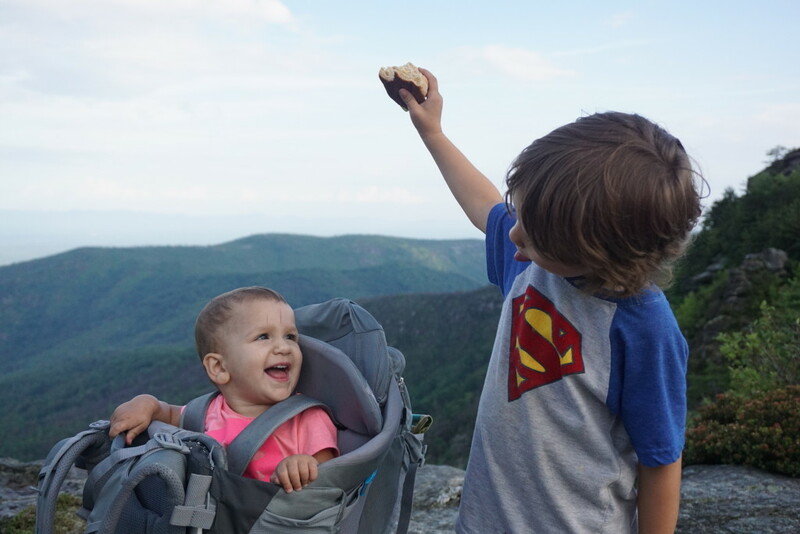 But in sickness and in health, this show had to go on, so on Friday afternoon we dutifully headed north in a van loaded down with kids, climbing gear, and demo shoes. After a feverish night of enduro-nursing and restlessness, I headed to the AAC Campground for shoe demos while Steve and the kiddos headed to Endless Wall with our “village.” I met up with them mid-morning and warmed up on The Upheaval 5.9, a great slab route that deservedly gets tons of traffic. 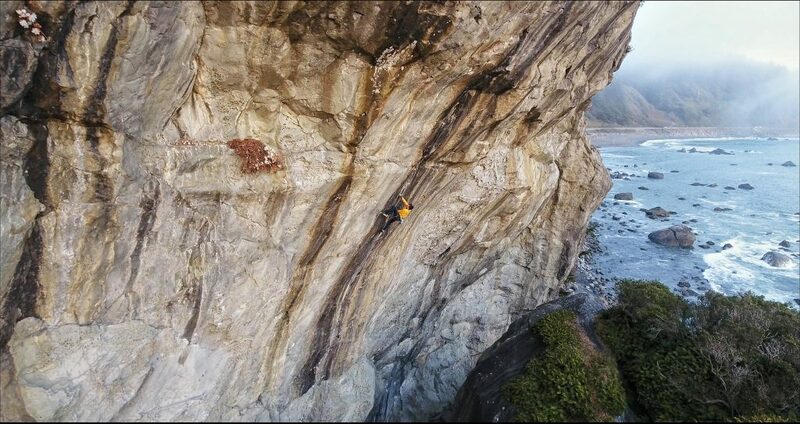 I was psyched to watch my boy dominate Totally Clips 5.8…well, maybe “dominate” is a stretch, but he did get to the top pretty quickly, where he lingered at the anchors for several minutes enjoying the view. Upon reaching the ground, he proudly announced that he “used two quickdraws as holds because it was easier.” I have no idea where he’s seen that before because neither Steve nor I have EVER done that (that’s written in sarcastic font in case you couldn’t tell.) With everything going on, we unfortunately didn’t get a picture of it, but I’m pretty certain he’d be up for doing it again next time. Around lunch I got the call to meet my Trango peeps back down at Fern Point for a photo session on The Prowess 5.9 R. I’ve only done a handful of the trad lines at Endless Wall, so I was psyched to try it (although admittedly a little anxious about the “R” part.) The route actually begins on Freaky Stylee 5.12a and traverses across Stim-o-Stam 5.11c to the blunt arete. 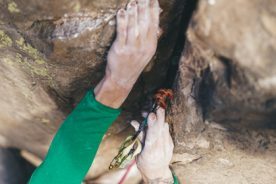 This initial section is the part that warrants the R rating – the climbing is pretty easy, but gear is sparse, and difficult to protect for both the leader as well as the second. 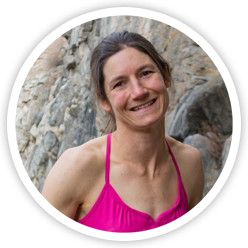 (I guess one alternative would be to boulder up through the Stim-o-Stam start – a little less sketchy for your second, but also much harder moves.) 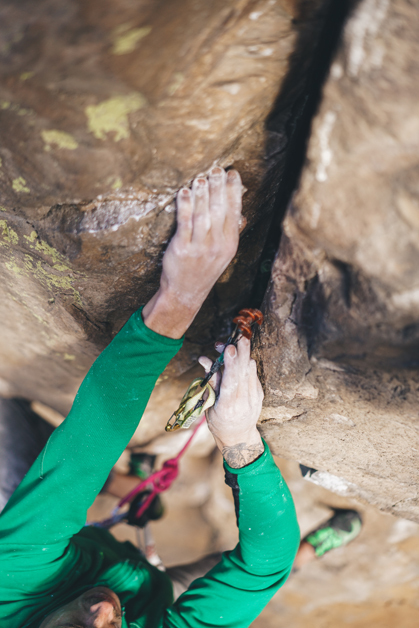 Once around the corner, the route tiptoes up the slab to the Stim-o-Stam anchors. 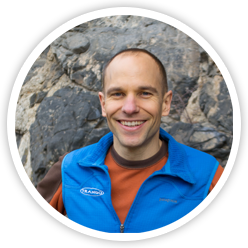 We split the route into two pitches so that Dan could get some “girl power” shots for Trango’s sister company, Stonewear Designs. The finish was easier (5.6 ish) and marvelously exposed. The only thing that could have made the view any more gorgeous would have been a backdrop of fall color! After Brenna and I tromped barefoot across the top to the ladders and back down to our stuff (read: bring your hiking shoes! ), we all headed over to Diamond Point, where I was able to reunite with the fam. Baby Zu seemed to be feeling better than she had the night before, but was still not interested in doing much besides snuggling. We played pass the baby while all taking turns on Fine Motor Control 12a. This line is often overlooked, but actually has a lot of nice, varied movement all the way to the top. (Don’t forget to bring a brush, there were a few sections that were pretty dirty.) The business is powerful, bouldery, and right off the ground until the 3rd bolt. The rest of the climbing backs off some as the bolts get farther and farther apart, and culminates with one final stay awake move several feet above the last bolt. My first time up I got pummeled. The moves down low are all really long, and it took a lot of creativity (and trial and error) for me to make the reaches. I also may or may not have called for the stick clip at the top due to an inability to commit to the 5.10 finishing move. My second go went far better – a one-hang, with my only fall coming at the end of the boulder problem start. Not a send, but a good note to end the day on. 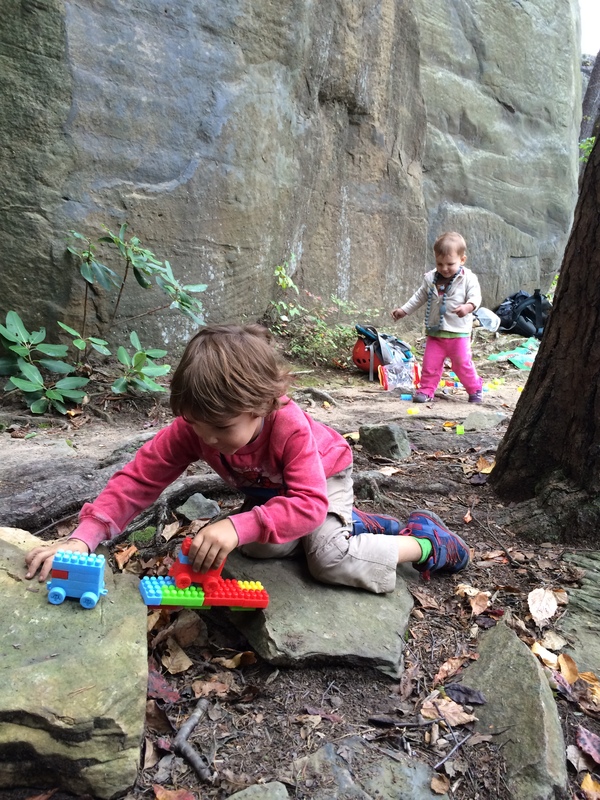 New favorite crag-tivity – Generric legos from the Target dollar bin! The next morning brought iffy looking weather, but a happy Baby Zu that was firing on all cylinders once again. Aside from trying to fit the Trango tent in my van later on that day, I had no other “work” duties, so we headed back to Endless Wall again. And this time, after warming up on Euronation (10b version), Fine Motor Control went down without a fight. Must’ve been a combination of cooler temps and lower stress levels; my beta felt rock solid the whole way up. We didn’t crawl into bed until late Sunday night…too late for a school night (yes, we have to worry about that now!) But a slightly more chaotic than usual Monday morning was definitely a fair trade-off for our first family adventure of the fall. 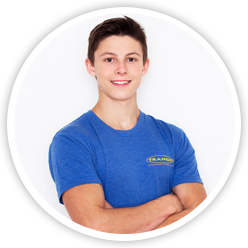 Many thanks to Trango for being so flexible with the Lineberry family circus, and thanks to Dan Brayack for letting me post his awesome pictures up here! And a thousand and one thanks to the village of friends that helped us get through the weekend unscathed! Looks like a good picnic spot to me! 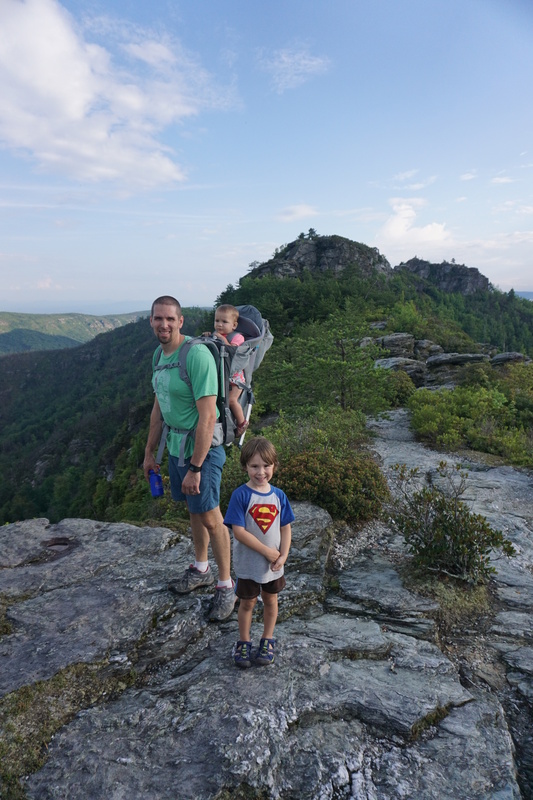 This past weekend our family did an overnight in the Linville Gorge. 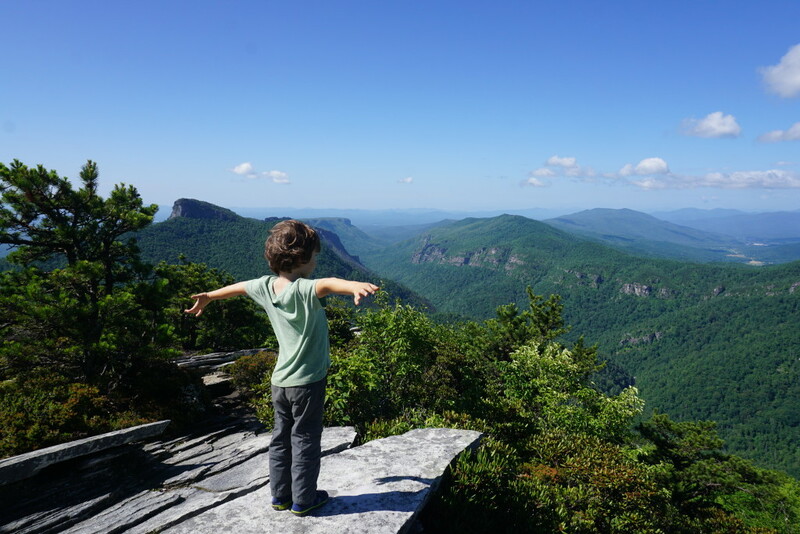 If you’ve never been to the Linville Gorge, it’s pretty spectacular! 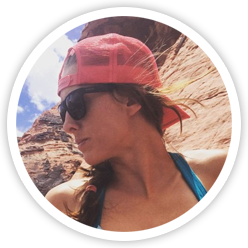 If you like being outside at all, you will fall in love with this place, as it is top-notch at pretty much whatever outdoor endeavor you like. On this particular occasion, we had planned a 24 hour quickie of hiking, climbing, camping, and lazing around in the hammock. Thankfully it’s only a couple of hours from our house, and we arrived on Friday evening a little bit after 6 – just enough time for a short hike/picnic along the Mountains-to-Sea Trail, per Big C’s request. We camped at Hawksbill, and woke up to a gorgeous morning. Our climbing partners were day-tripping and wouldn’t be there until 10 am, so after a leisurely breakfast, we got the jump on the approach hike. While only 1.1 miles, it’s rather grueling, especially for 5 year old legs. It’s relentlessly uphill for a mile…then 3rd class scrambling down a gully for several hundred feet. At the climber’s turnoff, Big C and I dropped our packs and scampered up the additional 5 minutes to the summit. It was a clear day, and we were rewarded with amazing views! Big C wanted to know the name of every mountain, ridge, and cliffline as far as the eye could see, then after a bit of rock hopping fun, we headed back down and continued our approach. 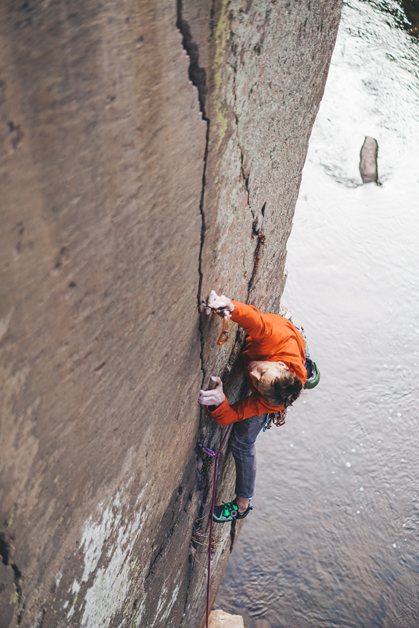 The only real agenda on the day was for Crag-Daddy Steve to send Hard Rock Cafe (5.12c). It had been one of my main objectives during the spring season, and he’d gotten sucked into it last time we were out there. Since I’d already done that one, and anything “next” on the list there would involve powerful cranking off small razor blades, I took the opportunity to save my skin and exercise my will power instead. (I’m currently smack dab in the middle of a hangboarding phase in prep for our Ten Sleep trip coming up in August, which means I’m supposed to be taking it easy on the fingers.) I got in on the warm-up (If You Bolt It, They Will Come 5.10a), made a half-assed attempt at Manifest Destiny (5.12c), and then took my harness off and hammocked with the kiddos. 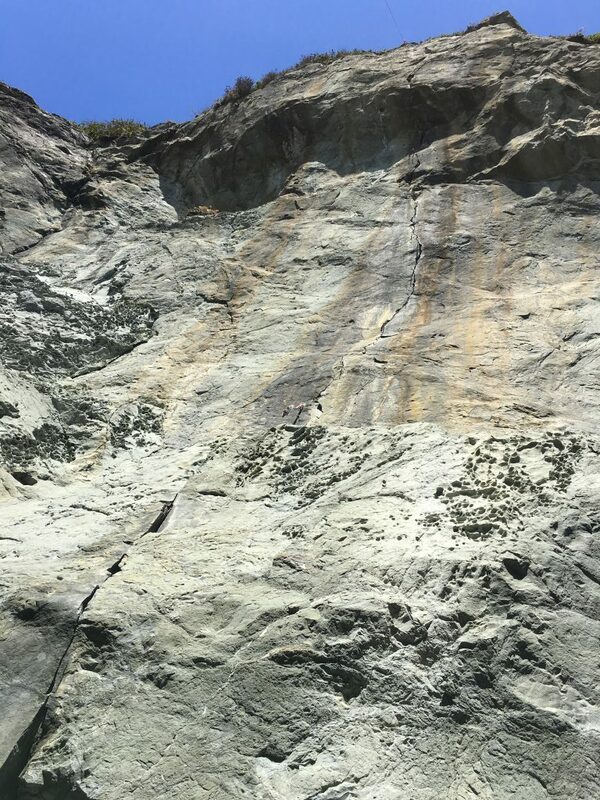 Unfortunately Steve didn’t send and we’ll have to come back another time…which is fine by me, because there is a stack of routes down there I’d love to get on when I’m psyched to try hard! Had our day ended there I would have been satisfied with a great day outside with friends and family. But my personal highlight came unexpectedly at the end of the day. 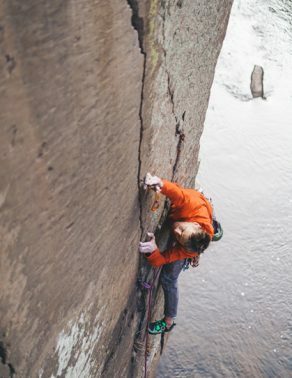 My friend Sam was itching to get in another couple of pitches, and had his eye on the traditional classic, Lost in Space (5.10b.) 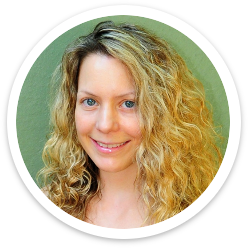 His partner wasn’t up for it, so he dangled the carrot in front of me – leading, following, whatever I wanted, as he had done it already and just wanted to get on it again. The Crag-Daddy pointed out that if he hiked out with both kiddos at a 5 year old pace, and Sam and I got started right away, we could probably finish, walk off, and make it back to the parking lot before the kids started going crazy. After all, Baby Zu had taken a great afternoon nap, and the area around the parking lot was a great place for curious hands and feet to pass the time away. 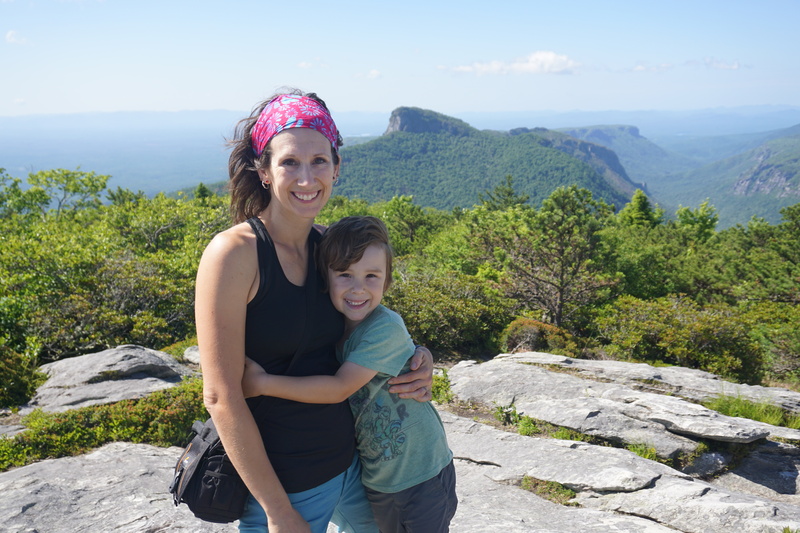 Breathtaking views at the top of Hawksbill Mountain! And with that we were off! As I headed up the gully to the base of the route, I felt giddy with excitement…and also a little nervous. 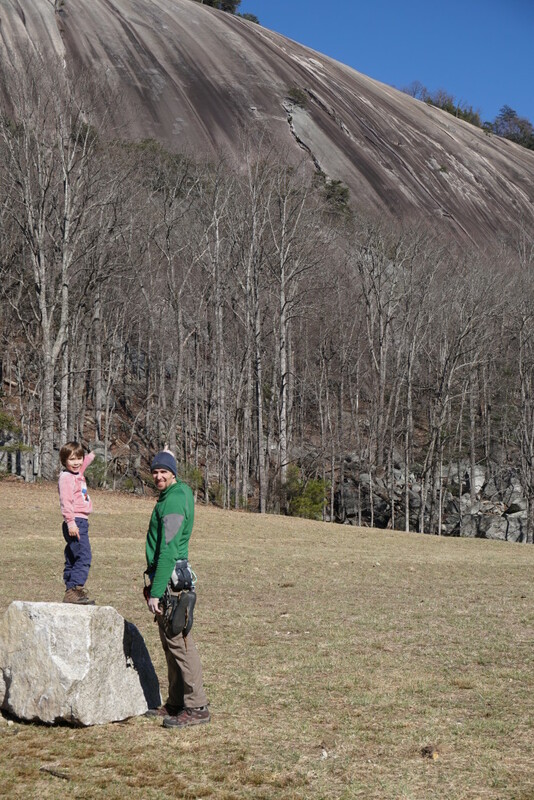 Pre-kiddos, Steve and I did a lot of multi-pitch climbing. And while I’ve since been dabbling in enough trad climbing to remain competent in my gear placing skills, it’s been years since I’ve brought a second up (our Vegas getaway in 2012.) And not to mention I can’t even remember the last time I built a gear anchor. One of my favorite hiking partners! I didn’t know a thing about Lost in Space (other than the obligatory photo opp at the start of pitch 2 that everyone always posts on facebook.) But I sure as heck knew I wasn’t going to let the chance to flash such a classic money pitch slip out of my fingers. Sam was kind enough to let me use his gear, and gave me some beta on the post-crux piece as well as what to save for the anchor (the latter probably being more for his own benefit than mine ). The first pitch was decent, but definitely just the way to get up to the goodness above. A slab and a lieback corner later and we were both at the belay, staring down the roof of pitch 2. I was pretty darn intimidated (“It’s 5.10. It’s 5.10. It’s 5.10″, I kept telling myself.) I crawled out under the roof, placed a piece, and got my hands on the jug at the lip of the roof. It’s a looooong move to the next horizontal. I hemmed and hawed up and down for at least 10 minutes, unable to commit. I eventually realized that I could place a piece at the lip, making the fall about a zillion times better, and committed straightaway. 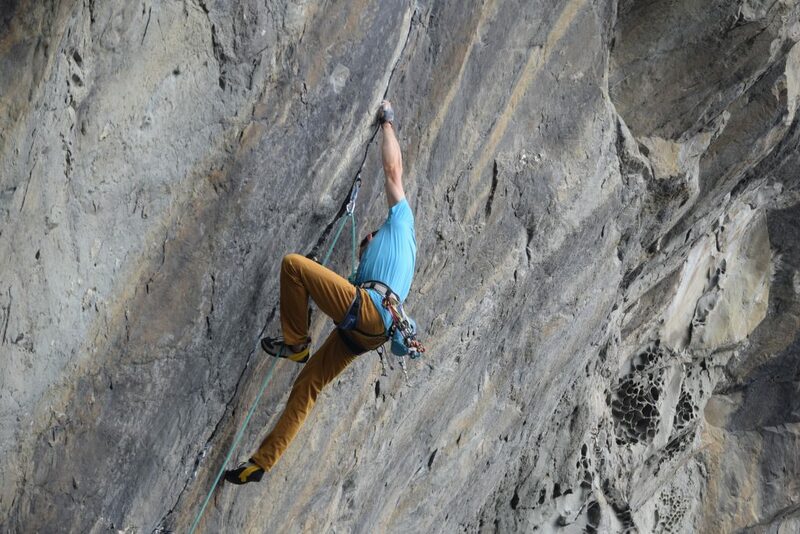 (For the record, the move felt pretty darn hard for 5.10…maybe it would feel easier 10 feet off the deck instead of 100…) The rest of the pitch was a casual romp up a corner system to the “almost” top. I kept looking back, savoring the exposure, and at one point realized I had a ridiculous perma-grin on my face. It was over all too soon! I brought Sam up, we scrambled around to the trail, grabbed our packs, and sprinted back to the cars. The infamous photo opp on the crux pitch! I’m grateful for that impromptu opportunity, as it was refreshing for my soul. But for now, it’s back to more grounded family adventures…which are just as exhilarating, though in a different kind of way!